I am focusing on one strain only (HB Pastel). I chose three strains that I will keep, breed and hope to show. how much will it cost the basic set up. chemicals … food … etc. You will need a minimum of six aquariums (even more) for each line. How much you know about the strains of your choice? some strains cannot be properly maintained with less than three lines or more? and more expenses (need more tanks, filters …)! One of the best kept secrets in the hobby – Purples + Greens! This cross works both ways and will produce some excellent blues as well. The purple is dominant and will darken the greens considerably. With this in mind, use the lightest green colored male into the purple females to produce bigger and better greens. To improve the purples, cross the purple males into the green females. To select the grown females from the hybrid cross, shine a flashlight on them at night with the lights turned off. The green females will have a green crescent at the base of the peduncle and the purple females will have a purple crescent. Black, White and Green [I like solid colored guppies and half blacks]. Blacks – I had them even when I lived in Bosnia (Black Moscow). (I love the contrast between black and white). And from the first moment when I saw them i fell in love with Greens. Second part of my fish room – fry grow out tanks. which is enough to work with one “decided” strain! and working with them enriched a lot of my breeding experience! 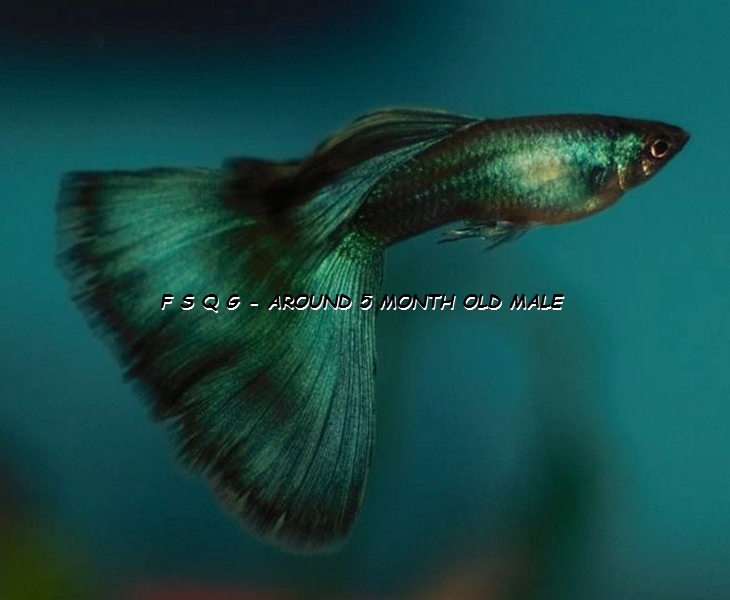 This entry was posted in My Blog (by Igor D.) and tagged Green Delta Guppies, Green Delta Guppy, Guppy Usa, HB Pastel - White Guppies, Igor Dusanic. Bookmark the permalink.